Hat tip to GM for pointing this out – did you know that the Obama Administration has been trying to modify the 1031 exchange rules? Potential sellers of investment properties are already paralyzed by the thought of the excessive taxation by federal and state governments. 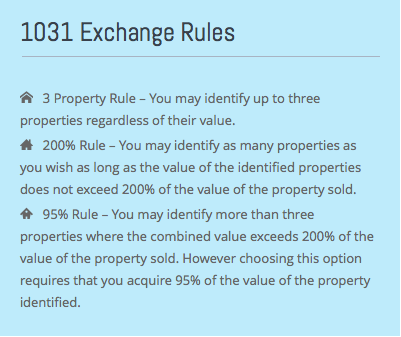 The 1031 exchange allows properties to be sold and the excessive taxation be deferred – any limiting of the 1031 rules will cause fewer transactions. If this change is implemented, it will apply to 1031-exchanges that are completed after this year. If you want to upgrade your investment portfolio, let’s move! The proposal would limit the amount of capital gain deferred under section 1031 to $1 million (indexed for inflation) per taxpayer per taxable year. The proposal limits the amount of capital gain that qualifies for deferral while preserving the ability of small businesses to generally continue current practices and maintain their investment in capital. In addition, art and collectibles would no longer be eligible for like-kind exchanges. Treasury would be granted regulatory authority necessary to implement the provision, including rules for aggregating multiple properties exchanged by related parties. The provision would be effective for like-kind exchanges completed after December 31, 2016. The other day, I used the term ‘die correctly’, which refers to those who hold properties until death, allowing those who inherit to step up the tax basis. 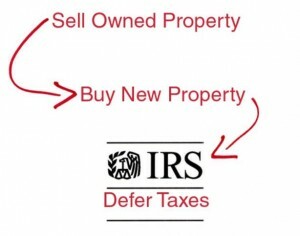 Under IRC § 1014(a) the general rule applied to property a beneficiary receives from a benefactor is that the beneficiary’s tax basis equals the fair market value of the property at the time the decedent dies. For example, Decedent owns a home they originally purchased for $35,000. Their tax basis in the home is equal to its cost, $35,000, assuming no adjustments under IRC § 1016. On the day Decedent dies, the fair market value of the home is $200,000. If Decedent bequeaths the home to Beneficiary, Beneficiary’s basis in the home will be the fair market value, $200,000. In contrast, had Decedent given the home to Beneficiary before their death, Beneficiary would receive a carryover basis, which would be equal to the decedent’s adjusted basis in the home, $35,000. Because of this provision, any appreciation of the affected property that occurred during the decedent’s lifetime will never be taxed. Thus, this provision provides an incentive for taxpayers to retain appreciated property until death. As the baby boomer generation begins to expire, we should see more inventory – especially rental properties. Any houses within a few miles of the coast are already in record territory, price-wise, and the beneficiaries would be smart to liquidate at least some of the properties while they can get top dollar. The ones to sell would be the older homes needing more work, and/or those in inferior locations. Keep the best, and sell the rest! If you are thinking of selling, give me a call! “After a surge in short sales in late 2011 and early 2012, the favored disposition method for distressed properties is shifting back toward the more traditional foreclosure auction sales and bank-owned sales,” said Daren Blomquist, vice president at RealtyTrac. These so-called “zombie” foreclosures take place when a bank initiates foreclosure on a property but then abandons the process, leaving the property in a sort-of no-man’s land—vacant but not for sale. According to RealtyTrac, there are about 167,000 properties nationwide that fall into this category. In addition, the company says there are hundreds of thousands of unlisted REOs and even more properties winding through lengthy judicial foreclosure procedures. “Unlisted foreclosures and bank walkaways used to be extremely rare, but they have mushroomed recently, ballooning into a large number of homes stuck in foreclosure limbo, sometimes for years,” RealtyTrac stated in its most recent issue of Foreclosure Report News. JtR: Click on the link above to read about some smug REO brokers. Bank of America has 23,966 foreclosure “zombies,” the most held by any bank, according to RealtyTrac. Wells Fargo is not far behind with 22,968, and JPMorgan Chase holds the third-highest inventory of foreclosure “zombies”-16,054 by RealtyTrac’s count. With 55,503, Florida is home to the highest number of unoccupied “zombie” properties. In total, RealtyTrac estimates there are about 1 million vacant homes that need to be sold but are currently out of reach for most real estate agents. Meanwhile, real estate markets across the country are dealing with inventory shortages. The shortages, combined with high investor activity, have caused price surges in several markets. In fact, some real estate professionals worry that investors have crowded out traditional buyers and artificially inflated property values in some areas. “It’s not rocket science to predict what will happen next,” said Steve Hawks of Platinum Real Estate Professionals in Henderson, Nevada. “Only stupid money is buying now,” Hawks said. JtR: If prices are going up 20% over the next nine months, why stupid now??? A full 8 percent of single-family homes in the Las Vegas metro-about 40,000 properties-are vacant, according to data from the Lied Institute at the University of Las Vegas. RealtyTrac says agents hoping to survive in today’s zombie-land must form relationships with banks, private lenders, the GSEs, and distressed borrowers to dig into the shadow inventory and zombie population in order to bring markets back to life. As the housing crisis unrolled the Department of Housing and Urban Development (HUD) and the two government sponsored enterprises (GSEs) Freddie Mae and Fannie Mae came into possession of more and more properties thorugh foreclosure. As of September 30, 2012, HUD held 37,445 foreclosed properties (REO) while the GSEs held 158,138. In addition, the “shadow inventory” (residential loans at least 90 days delinquent) totaled 1,708,033 properties, roughly 8.7 times the size of the HUD and GSE REO inventories combined. Even a fraction of the shadow inventory falling into foreclosure could considerably swell HUD and GSE inventories of REO properties. Because of the volume of this current and potential REO the Offices of Inspector General (OIG) for both HUD and the Federal Housing Finance Agency (FHFA) (conservator of the GSEs) recently produced a report on how HUD and the GSEs are managing and disposing of it.